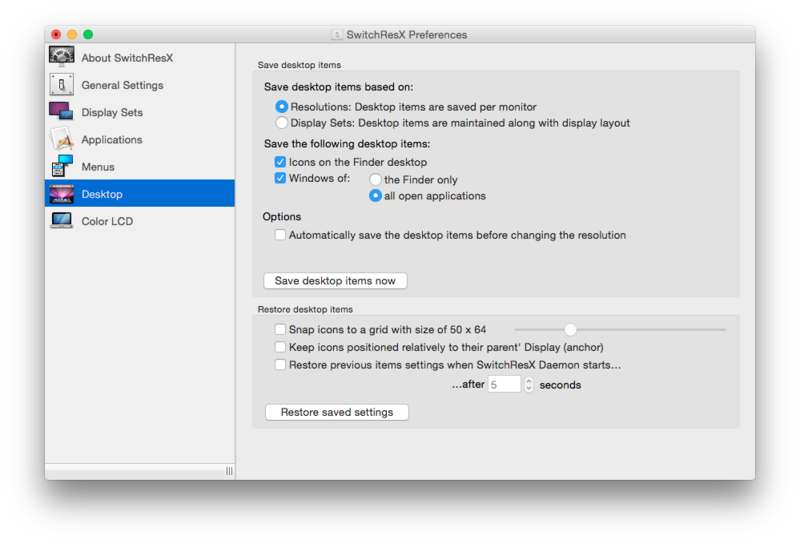 SwitchResX takes care of your arrangements and layout by simply saving the position of each item on the desktop, either for the Finder window only of for any application opened at the time you switch the resolution of your screen. And once you change back, SwitchResX will also keep the new set up in mind. Just in case you might need it again, later. You won't want to miss this ever again!